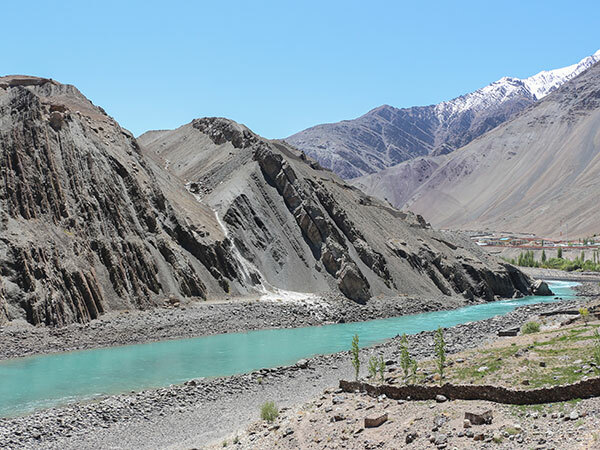 »Let The Resplendent Tourist Attractions In Alchi, Ladakh Grab Your Attention! When we talk about the Indian state of Jammu and Kashmir, Alchi is this populated village in the Himalayan region of Ladakh at an elevation of around 3500 m above sea level. Alchi is lovingly tucked in the Indus river valley along with the wondrous trade route and is also well-known for its gompas or monasteries. It is also well-connected with Leh via a strong road network. The region bordering Alchi is quite important for establishing trade and cultural connections with the rest of the Indian subcontinent. Let us tell you what happened when the Mughal armies entered and their attention fell onto the Buddhist monuments. The Islamic people greatly disregarded idol worship and thus, the Buddhist monasteries and monuments became a victim of iconoclasm. However, Alchi was the lucky land which made its way through all the devastation and if you take a look at the 900-year old murals and paintings, they still look so gorgeous and shall give you a feeling of having been painted just recently. By Air: You can easily find frequent flights from Delhi, Jammu, Pune and Srinagar to Alchi. Leh Kushok Bakula Rinpoche Airport is the closest one. Also, you shall find Jet Airways, Air India and Go Air to be some of the prime airlines which provide excellent facilities. By Rail: The railheads within closest proximity are the ones at Dehradun and Chandigarh. There are regular trains from various parts of the country up to here. Buses, cabs and taxis shall be available at regular intervals from these railway stations. By Road: Alchi is only around 70 km away from Leh. Taxis and buses are available at frequent intervals and during the summer months, you can catch a taxi per day from the very heart of Alchi. The major cities found nearby are Chandigarh (822 km), Dehradun (968 km) as well as Srinagar (400 km). The winters are quite cold and summers are deemed to be pretty normal here in Alchi. During the hot months, the temperature can shoot up to 25°C and fall down to 12°C. You definitely require relief against sunburn during this time of the year. During the winters, the temperature drops down to -30°C. The best season to visit this place has to be between May to September. This is a beautiful learning centre just 68 km from Leh city. You can spot it on the southern banks of the Indus river via the Leh-Kargil road from Saspol. You shall be amazed by the murals which belong to the 11th century and all of the excellent paintings that are an inspiration derived from the Buddhist Kashmir. Quite a large number of apricot trees will keep you hooked to its lush greenery. The assembly hall here is referred to as Du-khang with cloisters beautifully decorated with murals with about thousand Buddhas, an eleven-headed Avalokiteshvara and secular life sceneries. Similarly, the architecture of the Sum-Tsek temple is quite a spectacular with muddy walls rising up to three storeys. Thinking about taking a trip to Leh? Do not let this place go amiss. It came into being during the 11th century, one of the ancient temples in Alchi whose founder credits go to Kal-dan Shes-rab of Tibetan descent. What all is the temple building so popularly known for? Its exotic wall engravings, intricate images of the Bodhisattvas, the spectacular images of Vairocana or the breath-taking Buddha. The temple architecture itself shall mesmerize you as it looks like a perfect replica of the Universe. The enormous wall in the southern region displays a drawing of Mahakala or Great Time or in other words defining Timelessness or Eternity. This belongs to the Alchi Monastery and is well-known for flaunting its architecture. The word 'Sum-Tsek' stands for 'three-storeyed building'. Let us describe its Tibetan style of architecture whose building material is simply loam as well as natural stone. You shall be clearly flattered by three gigantic idols of four-armed 'bodhisattvas' standing erect with a distance of 4 m between them each. What stands strong in the midst of the floor area? The idol of Maitreya which is referred to as the Laughing Buddha and is just 4.63 m in height. Now if you look to the left and right side of the idol, you shall be bewildered at the sight of a white Avalokiteshvara, described as a 'bodhisattva who is a symbol of goodwill n the behalf of all the Buddhas', an idol of the great Manjushri as well as a 'bodhisattva' related to transcendent wisdom is also present! This temple also goes by the name of Jampe-La-Khang and is in close proximity to the Lotsawa-La-Khang in Alchi. The square-shaped temple comprises of all the four idols of Manjushri containing one head and four arms each. Idols are adorned with an arrow, a book, a sword as well as a bow and not to forget the seating arrangement which is on a magnificent lion throne. If you look carefully at the bottom of the throne, you shall be quite surprised to point out the 'Seven Jewels' as well as the 'Eight Auspicious Symbols' present there. The throne is bedazzled with jewellery and a crown while the walls are adorned with pictures depicting life of Buddha. You can lay your eyes on the main deity, Manjushri as her picture is positioned on the central wall. The side walls represent images of Amitabha or the Buddha of infinite light while the images of Ashokabhya or the immovable one, are pictured to the left. The arrangement is resplendent and reflects pure beauty in order to attract a lot of visitors. Rinchen Zangpo, who was a skilled translator of Buddhist texts into Tibetan. This Buddhist temple in the village of Alchi shall surely be worth your time. The idol of Shakyamuni which belongs to the Sakya clan sage is present in this temple. You shall be transfixed looking at the walls which look exemplary with olden and golden paintings of Shakyamuni. It also comprises of two adjacent shrines. Are you interested in different types of stupas?? This is a quite modernized structure, quite famous for a chorten or votive stupa. The columns reflect lion face engravings while the doorway is decorated with the picture of Mahakala. The western wall will represent to you three painted mandalas while the northern side shall reflect the image of Vairochana and let us talk about the east, it is flaunting the image of the Buddha. Who does not love to immerse in the pomp and gaiety of festivals? The Hemis Festival celebrated in the Hemis Gompa is a festival which occurs in the month of June and lasts for up to three long days! One can experience the Ladakhi culture, various traditions as well as art forms during this alluring festive period.